The change gives Community Action Agency employees the same opportunity that the anti-poverty organization strives to provide through its services and training programs, said Chandra Mathews-Smith, the chair of the organization’s board. 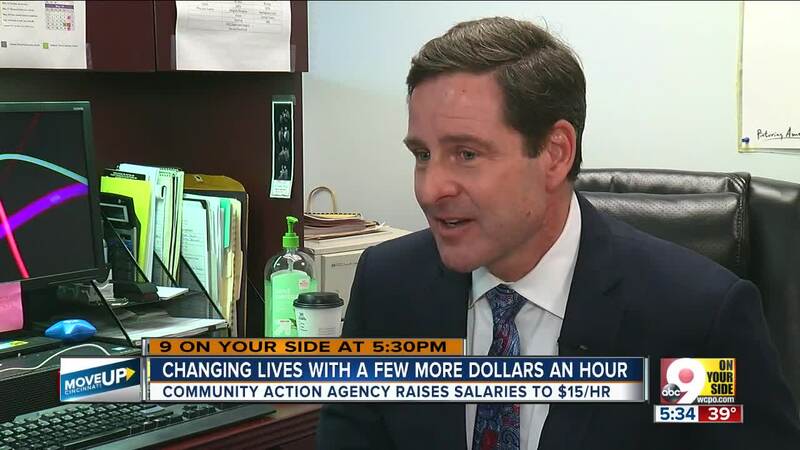 CINCINNATI — A few extra dollars an hour can change a life. Just ask Angel Kennedy. 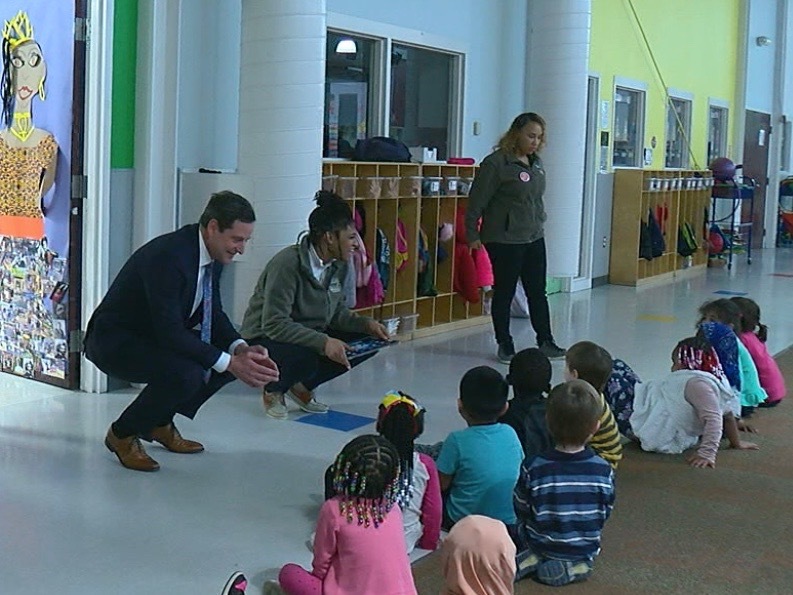 She’s a classroom aide for the Head Start program operated by the Cincinnati and Hamilton County Community Action Agency . Kennedy has loved her job since the day she started and felt like the pay was fine, she said. But when CEO Mark Lawson announced late last year that all Community Action Agency employees would earn at least $15 an hour starting Jan. 1, she was stunned. Now Kennedy doesn’t have to work a second job on the weekends to make ends meet, she said, leaving her more time to spend with her own kids and to just rest. Kennedy is among the more than 20 Community Action Agency employees that were impacted by the policy change. Before Jan. 1, the organization’s lowest paid employees made $11.40 an hour, Lawson said. The change cost about $82,000 to implement and didn’t cause any problems with the agency’s overall $30 million budget, he said. Community Action Agency didn’t have to cut staff, reduce services or charge parents more as a result. 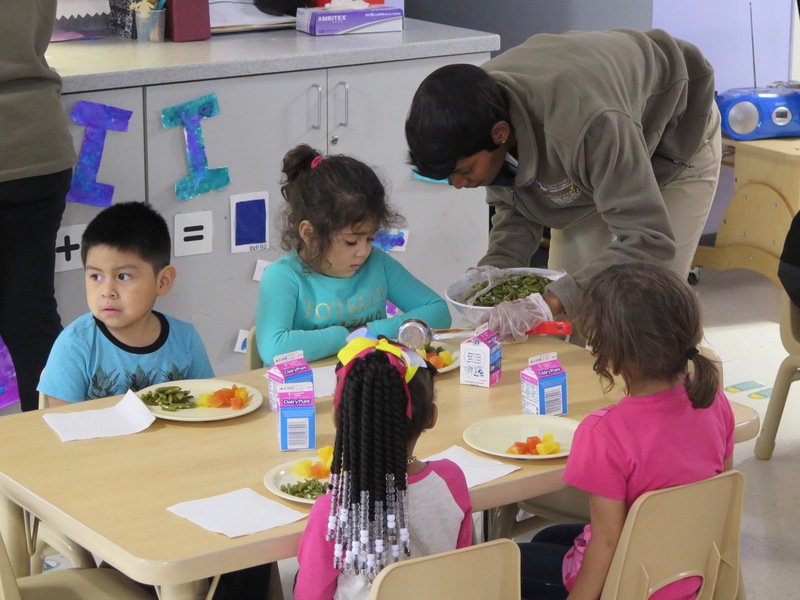 The change gives Community Action Agency employees the same opportunity that the organization strives to provide through its services and training programs, said Chandra Mathews-Smith, the chair of the organization’s board. “I know that when we lift people up out of poverty and provide them with the resources and the means to support their families, they do that and they’re excited to do it and go on to achieve greater things,” she said. The Community Action Agency isn’t alone in raising wages for employees. Amazon raised its minimum wage to $15 an hour for all U.S. employees effective Nov. 1. Other Cincinnati employers made the move even earlier. Cincinnati City Council in late 2016 approved a measure to increase full-time employee pre-tax earnings to $15 per hour. And more than four years ago, Freestore Foodbank increased base compensation for all employees to $14 an hour. That has since been increased to $14.50. Lawson said other leaders of nonprofit organizations have reached out to him since the Community Action Agency made the change to say they are considering similar measures. Lawson said the Community Action Agency decided on the $15 an hour pay level as a living wage based on recommendations from the Human Services Chamber of Hamilton County . Those recommendations were based on a study by the National Low Income Housing Coalition. That 2018 study notes that 42 percent of all Hamilton County households rent their homes. It concluded a renter must earn at least $12.37 an hour to be able to afford a one-bedroom apartment in Hamilton County or at least $16.25 an hour to be able to afford a two-bedroom apartment. The study classifies rent as “affordable” as long as it doesn’t consume more than 30 percent of a household’s monthly income. Lawson said the more people earning a livable wage and living in places they can afford in Cincinnati and Hamilton County, the better off the community will be. More information about the Cincinnati and Hamilton County Community Action Agency is available online. Information about applying for jobs there is online, too.